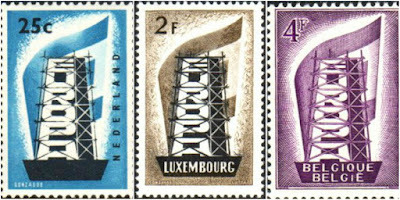 According to the website, these stamps represent cooperation amongst postal operators and promote philately. They exist to build awareness of the common roots, culture, and history of Europe and its common goals. 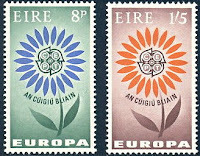 with the first EUROPA stamps. 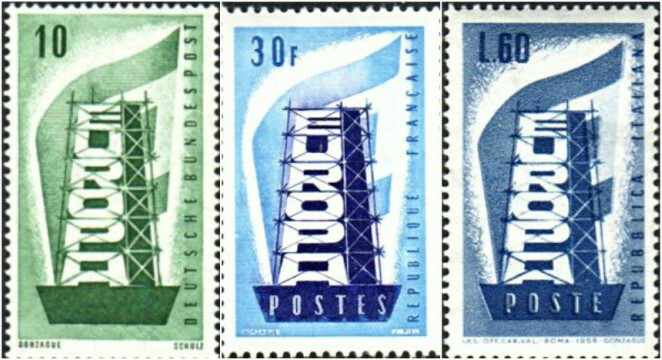 Each stamp has a tower of the EUROPA letters surrounded by scaffolding, the theme being 'building Europe'. designed by Daniel Gonzague from France. 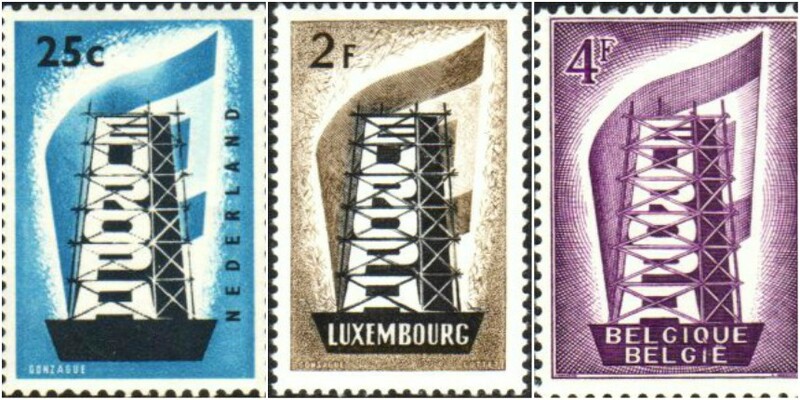 A common design was used for the stamps until 1974, when a common theme was introduced. In 2017, the theme is castles. In 2018 it is bridges, and in 2019 there will be my favourite theme - birds. 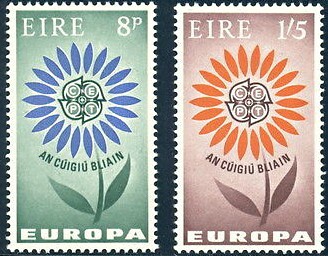 I did not know about the origine of the Europe stamps, nor knew about the first stamps. Thank you for sharing this interesting information! I love the common theme and seeing how each country has interpreted it rather than these early 'design' ones although can appreciate the idea of common unity behind it. ...I wonder what the future holds. 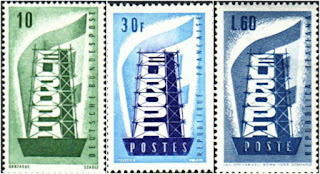 I didn't know that Europa stamps used to all be variations on the same image. I like both designs and better yet I like learning the word and the concept, both of which are new to me. I have collected a few Europa stamps by accident over the years but never knew the background.